We go back ‘home’=inside! 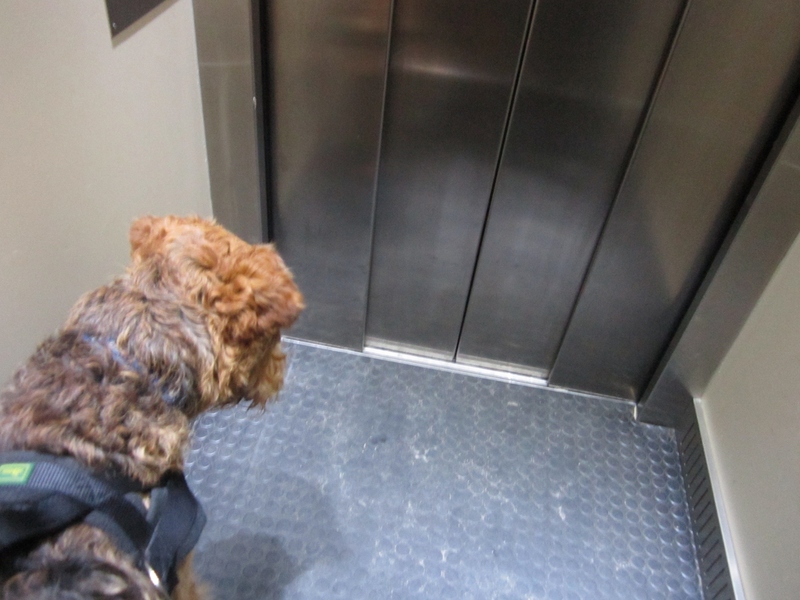 We take the elevator! That’s a little room, my goodness! Doors open and close… bizar. We don’t have that at home!